In south West Virginia, near the border with Kentucky, the United States, is a small unincorporated community named Vulcan. Vulcan was once a thriving coal mining town, but in the early 1960s, the mines dried up and many residents moved away in search of employment elsewhere. No longer a productive community, Vulcan’s infrastructure deteriorated and even the state government forgot the town existed. The town of Vulcan was built on a fork of the Big Sandy River near the main line of the Norfolk & Western Railroad. 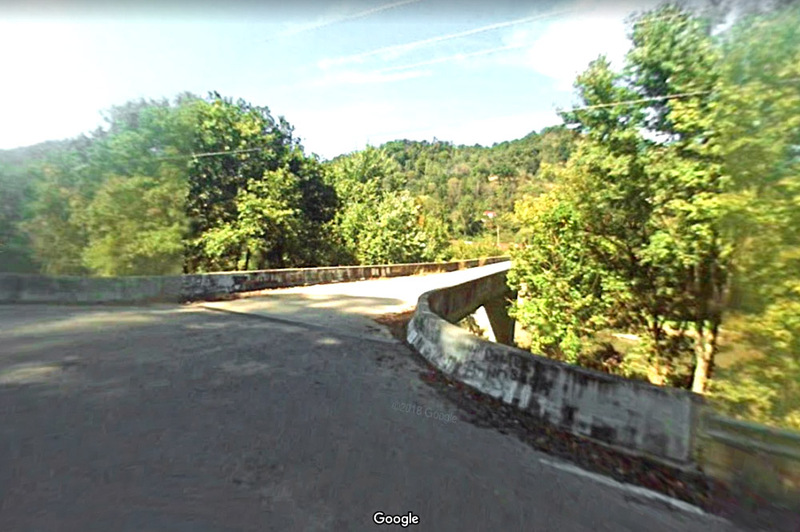 There was no road connecting Vulcan to Kentucky across the river, only a suspension foot bridge. The swing bridge itself was on the verge of collapse with many footboards missing. Yet, every morning children had to walk across it to catch the school bus on the Kentucky side. Sometimes they had to crawl under parked rail cars to get to the bridge, which was a dangerous practice. The alternative route was a gravel road maintained by the Railroad company. This road ran parallel to the tracks, passed through Vulcan, and continued north to the community of Delmore, located five miles away. The road, however, was legally not accessible to the public, and the Railroad company hung “No Trespassing” signs on either ends. The company explained their actions saying that the road was dangerous to use, and in any case, it was not the company’s responsibility to provide transportation in and out of the impoverished community. In 1975, the suspension bridge collapsed, leaving the community of about fifty families with no other option but to trespass on the Railroad’s gravel road. 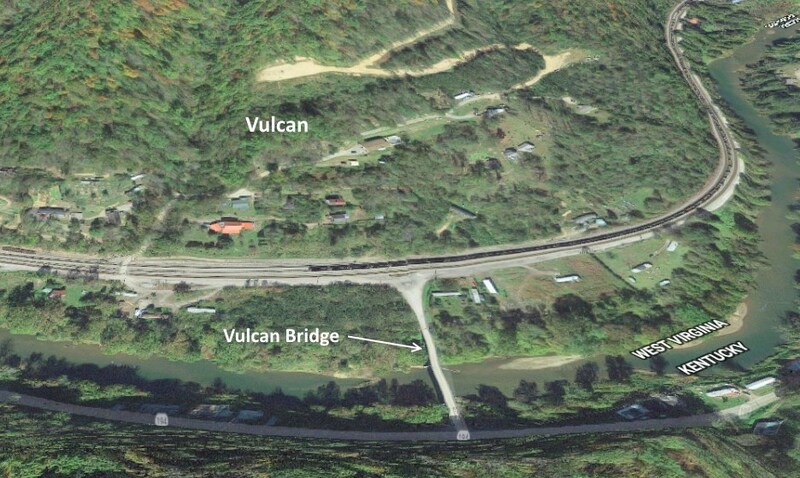 Vulcan’s residents appealed to the West Virginia government to build them a new bridge, but officials were reluctant to spend money on a project they thought few people would use. Feeling forsaken by their own government, John Robinette, a 42-year-old bartender and resident of Vulcan, wrote to the Soviet Embassy in Washington, as well as to communist officials in East Germany, explaining their plight and requesting foreign aid from the nations. Robinette figured the Soviets might like to grab the opportunity to humiliate the Americans. While the Kremlin officials never replied to Robinette’s plea, a New York-based Russian journalist, Iona Andronov, got wind of the story and travelled to Vulcan to interview the people and access the situation. Two years years Vulcan got their own one-lane bridge connecting to the outside world.